Public media isn’t just an industry or a service. It’s a mission, not yet accomplished. A few points about your authors: We are white, married, middle-aged, East Coast natives. We’re just some birthdays away from being official Marys. And, yes, we tune in and give to our public media stations to reward them for knowing what we like. But when Knight Foundation asked us what we thought of public media, and added, “How should public media be destroyed, disrupted or restructured to inform community today?” the answer was obvious. We have to blow this thing up and start again. Let’s start over with the project that best fulfills public media’s founding mission: programming for children. That’s what public media should be and do. Only that. Seriously. PART 1: WHAT IS PUBLIC MEDIA? AND WHO SHOULD PAY FOR IT? In 1967, when President Lyndon Johnson signed the Public Broadcasting Act, he said that the airwaves “belong to all the people,” and called for “a partnership to share knowledge and to thus enrich all mankind.” He didn’t stop at the airwaves; Johnson made reference to a global network of computers and cited specific examples (digitally distributed libraries, dispersed educational resources) that have only come to daily life in the past 20 years. But what is the final purpose of a system to “share knowledge and enrich all mankind”? Not just education, not just wealth, but the specific aim of creating a nation of citizens who are capable of wise and intelligent self-governance. That’s a mission on par with any moonshot and has proved more elusive. SHOULD WE BE SCARED OF PUBLIC FUNDING? We can’t leave this mission for the marketplace to solve; it is too entwined with the health of our democracy to leave it to algorithms and shareholders. If you want to develop good citizens, a public media system is a powerful tool, but it’s hard to contemplate state-supported or government-collaborating media without acknowledging all of the ways it can go wrong – from the worst-case scenario of a Pravda-style megaphone to the all-American circus of Congressional budget hearings. It’s tempting to suggest that the best thing for public media would be an endowment that leaves it independent of government support. But we have an independent media system (with both corporate and nonprofit models) and it hasn’t consistently delivered increased voter turnout, voter education or civic service. The past election has demonstrated that social media networks and search engines actually contribute to information silos and blatantly false information tailored to a user’s biases. We can’t leave this mission for the marketplace to solve; it is too entwined with the health of our democracy to leave it to algorithms and shareholders. On the other hand, there is a reason that CPB has funded infrastructure over programming: Content is political. Satellite dishes aren’t. But the basic mission of public media is political, too. “What kind of citizen are we creating?” is intrinsic to the question of how we teach civics and represent our democracy. A diversity of programming is the answer, not the problem. “Audacious Philanthropy,” a report by Susan Wolf Ditkoff and Abe Grindle in the September-October issue of the Harvard Business Review, also argues for government engagement in major social enterprises. Wolf Ditkoff and Grindle note that government is a crucial engine. In this case, for example, the “public” in public media must include taxpayer funding as well as opportunities to deliver programming through partnerships with schools, parks, social support agencies, public transit, voting booths and anywhere else that young people go. One important note: The Corporation for Public Broadcasting received $445 million in the previous federal budget, which supports 350 public television stations and 989 public radio stations. CPB’s formula, set by statute in 1981, directs 75 percent of its funding to television and 25 percent to radio. Public radio supports more stations with less federal money. One goal of this paper is to find a path to diverse revenue streams and sustainability, which public radio has long been forced to do. So although much of our thinking is focused on one television production model, let’s spend some time talking about the lessons derived from public radio’s funding and audience service. For starters, there are deep problems with how public radio survived, problems that compromised its mission of civic education for all Americans. So, even before the internet drastically changed traditional business models, public media has had the same problem that plagues commercial media. Market dynamics exclude entire groups – particularly audiences in low-income communities, who were generally perceived as less attractive listener-donor bases. To Siemering and his fellow board members, public radio should be an instrument of direct democracy. It would listen to the nation as much as it would talk to it. Yes, public radio would pursue the highest standards of journalism. Yes, public radio would tap the academic resources of the nation as never before. Yes, public radio would preserve and foster the cultural life of the nation. All of this might have been expected of traditional educational broadcasting. Public radio, however, would also reflect the diversity of the nation, giving voice to the unheard, establishing dialogue among those who seldom speak with one another and seeking wisdom in ordinary people as well as those with credentials. The intervening 45 years have illustrated how that broadcast strategy quickly, quietly and ruthlessly undermined the inclusive mandate that set public media apart – with a bias about who should be served that is now polluting the broadband age. The audience research studies that drove public radio’s shift were largely developed by David Giovannoni, a pioneer and occasionally polarizing figure in public media. Starting with “Audience 88,” he outlined who was most attracted to public media, what they liked, why they donated and how much they listened. The strategy continues to pay dividends. In 2014, Pew reported that NPR is one of the most trusted news sources in America (with a caveat: among conservatives, NPR is not regarded as trustworthy). Giovannoni’s research shifted programming decisions and led to the rapid growth of the network’s audience. As Samuel Freedman details in The New York Times, NPR’s weekly cume tripled under Giovannoni’s tutelage and the number of paying member stations doubled. ''What happened in the commercial marketplace began to happen in the public radio marketplace. There was this unarticulated but passionately held belief that there was a perfect formula and that if we used that formula in our community, we could be as successful as other communities that used it. The effect has been a system that pushes experimentation out of local markets that rely on public support, and also one that depresses experimentation at NPR. “Morning Edition” and “All Things Considered” are the most valuable assets that NPR distributes. They are aimed at a drive-time audience, consume important hours on a station’s daily clock and – thanks to Giovannoni’s audience research – found a devoted audience that donates to the stations that provide them. 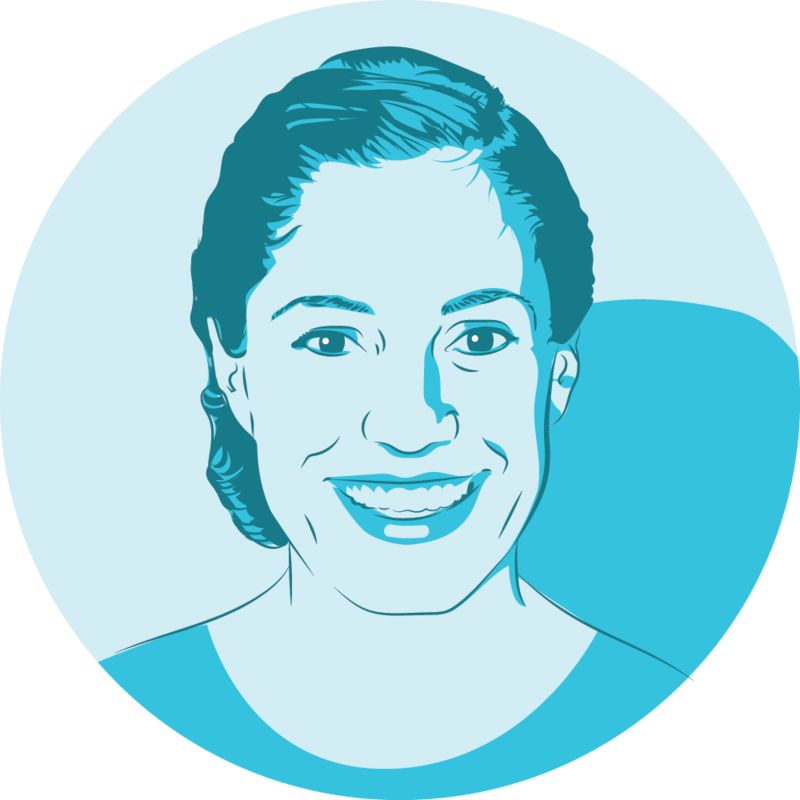 Consequently, “the stories aimed at low-income communities have a very behind-the-museum-glass mentality,” says Sarah Alvarez, the John S. Knight Journalism Fellow who focuses on the information needs of low-income families, who are generally ill-served by the system. There is one place where this is largely not true. Serving children from America’s poor, immigrant or minority communities was built into public media’s children’s programming from the very beginning. Giovannoni wasn’t wrong about segmenting and superserving an audience; the strategy worked as he intended. He just chose the wrong audience, for the wrong reasons and carved a path that led public radio away from its mission. Noah Chestnut, who helped launch the Buzzfeed News app and whose work we admire, observed that the media marketplace generally ignores and undervalues children of diverse and low-income communities, often talks down to them and their families, and frequently mistranslates or commodifies their experiences for the consumption and benefit of wealthier audiences. Serving children from America’s poor, immigrant or minority communities was built into public media’s children’s programming from the very beginning. This is the core of public media’s mission, and it is nearly the inverse of Giovannoni’s audience strategy, so it demands attention. It’s also just good strategy. Childhood habits and preferences are extremely durable. Children’s preferences drive family activities. When the Corporation for Public Broadcasting is at risk of Congressional budget cuts, Mr. Rogers and Elmo have been its most effective lobbyists. And, if the best audience strategy is to cater to a segment of the population, we vote for the segment that cuts across gender, racial, political and linguistic barriers. We vote for children. The show, she wrote, would introduce three-, four- and five-year-olds to “intellectual concepts of all kinds, including language concepts and skills, number concepts and simple scientific concepts” through “singing, dancing, clapping and answering questions, so viewing would be active, not passive.” The goal, in part, was to develop minimal educational goals for the program that mimicked the “minimum abilities needed by a child about to enter first grade” and to close existing language and developmental gaps that existed between children of lower socio-economic groups and others. In response to Cooney’s paper, the Carnegie Corporation awarded her $1 million to establish Children’s Television Workshop. Additional grants were secured from the Ford Foundation, the Corporation for Public Broadcasting and the federal government. The show featured a majority-minority cast, real children from cities instead of actors, and by the 1970s, featured “films about Mexican holidays and foods and cartoons that taught Spanish words." At the same time, public media’s programming for children has been a means of assimilating new American children, teaching English and providing a shared cultural touchstone for generations of young people. ...if the best audience strategy is to cater to a segment of the population, we vote for the segment that cuts across gender, racial, political and linguistic barriers. We vote for children. “Mr. Rogers was the first white man that spoke to me,” Adriana Gallardo, who emigrated to the United States as a child and now works as an engagement reporter for ProPublica, told us. “My mom and I tuned in and together learned our first English via his show. Before I remember having positive experiences at school with white teachers, he was a comfort zone. In addition to groundbreaking subject matter and casting that reflected the American public, Children’s Television Workshop was instrumental in acting as a research and development lab for audience-centered work and for developing creative, educational programming under the guise of play. Gerald Lesser, the Harvard-based psychologist who led seminars with researchers and educators to determine what skills to emphasize on “Sesame Street,” “poured the pedagogy into [the show], helping ensure from the start that the new, experimental venture in education by television would be both enjoyable and instructive.” The material was then tested – both to make sure it appealed to preschool children and to ensure it was effective in teaching its intended curriculum. Potential segments were also tested to ensure that they captivated their intended audience, and as researchers learned more about the ways children learn, they modified the program accordingly. “Sesame Street” relied on philanthropic and government funding to launch the show and propel it into millions of households. By 1993, a Bridgespan case study notes, the program reached “77 percent of all preschoolers in the United States … including 88 percent of those from low-income families.” It now reaches 156 million children in 150 countries around the globe. By 1980, 57 percent of the show’s annual revenue came from licensing and distribution, allowing CTW to develop a “secure economic base” for the show. The licensing then paid “for our programmatic activities and research and content,” wrote then-CEO Gary Knell in 2000. The percentage of “Sesame Street” revenue coming from licensing has ebbed and flowed over the decades, as market forces, viewing habits and the children’s media landscape have changed. The Times noted in 2015 that the show “struggled in recent years because of the rapid rise of streaming and on-demand viewing and the sharp decline in licensing income.” Between 2008 and 2015, the show lost more than half of its licensing income. But Children’s Television Workshop never lost sight of the fact that “success never results from a single grant or silver bullet” as it pursued its mission to serve young children around the world. In 2015, the show once again sought alternative revenue sources – the deep pockets of cable distributors. CTW had one requirement for potential partners: “Sesame Street” had to remain “freely available on PBS,” Lance Ulanoff writes for Mashable, so that all children – not just wealthy ones – could continue to benefit from its programming. “Sesame Street” CEO Jeff Dunn saw it differently. He told Mashable that it was “important to us to control our destiny and go forward to a bright future and that meant adapting to the times,” adding, "Everyone will have to define in the future how they will replace lost income." For “Sesame Street,” it was thinking of the partnership with HBO as an endowment to ensure that it could continue to reach its intended audience: all children, regardless of socio-economic status. One question from the devil’s advocate: Why should public media focus on children’s programming when the educational media market is full of competitive giants like Disney and Nickelodeon? Because none of those giants is charged with the public media mission. Because “Sesame Street” sent Julia, an autistic muppet, to visit the U.S. Congress. And, in South Africa and Nigeria, Kami is a child muppet with HIV. A real child with osteogenesis imperfecta, Tarah Schaeffer, demonstrated the parts of her wheelchair on the show. The child muppet Alex has a parent in prison. Zari, a girl muppet, promotes the visibility and dignity of little girls in Afghanistan’s “Sesame Street.” And because when Mr. Hooper died, Big Bird grieved on the air. The best path for public media seems obvious to us: It’s the route where financial sustainability meets the mission of building better citizens. Equally obvious: We should start with the only audience where public media has fulfilled its original intent: children. This new public media should begin with children and be designed to grow with its audience as they age, become parents and seek to replicate the same experiences with their own children. To see how such a model might take shape, we can look not only to “Sesame Street” – which was conceived as an intragenerational show – but to other entities, public and private, that have generated broad support through experiences that are shared and sustained across generations. Public libraries, for example, receive widespread support in the United States, particularly among younger people, and have adapted by adding “extra services such as literacy programs for young children, meeting spaces for community groups and technology ‘petting zoos’ that provide opportunities to explore 3-D printers and tech gadgetry” according to a recent analysis by Pew Research. The National Park Service knows that its existence relies on widespread public support. In 2015, it targeted fourth graders across the United States in a program giving them and their families free admission for a year. The fourth graders were chosen for “logistical, educational and instructional reasons” according to a White House official. An ABC News piece further spells this out: Research shows that the earlier a young person connects with the outdoors, the better for their long-term development – and age 11, the White House said, may be the last chance to build a sustained relationship with nature. Identify as supporters of the National Park Service. Feel a sense of satisfaction and loyalty when thinking about their relationship with the National Park Service. Value the experience they had in the National Parks and want to share it with their own children. Advocate for the future existence of the National Park Service. Recognize the National Parks system for the indispensable public resource it is. Finally, we can look at the Walt Disney Corporation, which bests only “Sesame Street” in Young & Rubicam’s assessment of brand stature and brand strength. The Disney model is perhaps the most well-known example of aging alongside a cohort: You watch the animated films, you go to Disney World with your parents, you grow up, expand into Broadway shows, you go on Disney-designed travel adventures and eventually want to replicate all of those experiences with your own children. Now, let’s consider our strategy. This will require federal and foundation support, although the ultimate goal is to make public media into a financially independent, apolitical entity. Ideally, the public media system would create and own content that can be licensed for additional revenue. This system could borrow from the incubator/tech accelerator model. We want public media talent to dream up amazing programs and we want those programs to come to life, but if they’re successful and spun off, the proceeds should be shared back into the public media endowment. The incubating public media system should also retain the right to distribute those programs as long as they’re in line with the mission of serving all children. “The Great British Bake-Off” (which left BBC for Sky4) offers an important warning: Public media programming should be an asset that is at least partially owned by the system that incubates it. Independent producers offer powerful creative resources, but often require partners with deep pockets. It’s reasonable to begin with development grants that give those producers control over their visions, but the exchange must include a return to the endowment. “The Great British Bake-Off” (which left BBC for Sky4) offers an important warning: Public media programming should be an asset that is at least partially owned by the system that incubates it. We start from scratch. That means completely redirecting the goals of CPB, allocating its assets and budget to children’s programming and spinning off PBS and NPR. NPR and PBS have had 45 years of opportunity; it’s time for them to live or die on their own, particularly now that they have the resource of the spectrum auction. If, as we contemplate below, children’s media distribution and access is NOT predicated on access to broadcast but rather on access to broadband and public services like schools, libraries and transit, CPB can gradually divest itself of the legacy system. What does that look like? CPB could tie up all federal funding for the exclusive development of children’s programming and education, focused on a digital-first, distributor-agnostic development fund for children’s programming. Some of our colleagues are concerned that this would be the death of NPR and PBS – “What about the adults?” – but we have greater faith in their resilience, and in the financial value of their popularity with their chosen audiences. We also should think of all of the great public media projects that have been created to date as assets that could, and can be spun off to commercial media, as public-incubated projects like “The Great British Bake-Off,” “This American Life” and “Sesame Street” have demonstrated. As Adam Ragusea outlined in the Columbia Journalism Review, there’s a lot that can be done by focusing on broadband. “Who’s to say a public TV station couldn’t sell off its spectrum, liquidate its broadcasting equipment and use the resulting fortune to endow itself as a totally new, digital-only investigative news agency, like a local ProPublica?” he asks. Public media production houses and stations already thrive in the face of market competition (much of which has been debated in an ongoing series of “what is public media?” debates in industry publications and elsewhere). The public radio system as a whole is the largest network of nonprofit newsrooms in the country, a clear advantage. The drive toward high-wealth, highly segmented audiences has demonstrated its sustainability. Let’s direct our tax dollars and foundation support to build better citizens from birth. In contrast to the goals of a Report for America program (bringing bright young minds into local newsrooms to fill the daily news report), a public media bootcamp would aim first to set a national baseline for media standards and ethics by producing entertaining, educational and experimental programming for all children. Instead of a network of stations, CPB could build a service corps for media, recruiting post-college or post-retirement talent to create diverse and excellent children’s productions – and help set a new national baseline for civic engagement and media literacy. Nearly all of Generation Z – people born between 1996 and 2010 – uses YouTube; half say they can't live without it. They’ve been immersed in digital culture since birth and they don’t remember a time without smart phones. As they consider entering the workforce or college, they would have another option: to apply to enter a competitive bootcamp where they learn the basics of educational research, media development, media literacy and media production, followed by a position working in public media creating quality programming for even younger viewers. The goal is not (necessarily) to train a workforce of media makers, although that would be a happy byproduct – particularly since everyone with a smartphone and a social media account already is, one way or the other, a media maker. Grants to media organizations could require productions to hire talent based on the demographics of their community (not unlike StoryCorps’ mobile booth model, which allots booth time based on community demographics). This model also allows us to solve the pipeline problem in the media workforce by building a diverse leadership base that would be well-trained and connected. Moreover, a competitive process focused on makers prevents the “public access television” problem of investing in unvetted creators. There’s also huge potential in the model of incubation funding – a hybrid of freelance hiring and tech accelerators – that we’ve seen from AIR’s Localore experiments and the WNYC Podcast Accelerator. While individual makers are free to pursue deeply creative works, the public media system that provides seed funding could retain some right to future earnings to plow back into new programming. Distribute the resulting programming through schools, libraries, the internet and TV – in other words, broadband, not broadcast, is the primary medium. Again, we can return to “Sesame Street” for guidance. “The Workshop recognized that many children would watch the show at shelters and community centers as well as homes and promoted the show to community workers, social workers and other municipal employees. Filmed episodes were available for libraries so that the show could be screened in the afternoons or on Saturdays,” notes a caption at the New York Public Library’s exhibit “45 Years of Sesame Street Helping Kids Grow Smarter, Stronger and Kinder.” Embedding programming in schools and the Head Start/Smart Start programs would also help address the distribution question – this is a distribution system that serves 90 percent of American children and was first mentioned in Ganz Cooney’s 1966 report as a distribution method. Other possible spaces for distribution: Bus stops and subway cars. Hospitals. Shelters. Playgrounds. YouTube. Licensing agreements with Facebook, YouTube, Netflix, Hulu and Amazon. It is possible to have a media system that serves, if not all people, then all children, and to use it as a central tool in building wise, civic-minded citizens. We offer these ideas in the spirit of concern for the sustainability of public media and a deep desire to see the kind of media that enriches civic life. Part of the reason we've focused on children’s programming is because public media’s richest areas of experimentation have always been devoted to children. There is also overwhelming evidence of the value of early childhood education in terms of development and school-readiness and of the potential for children’s media to sustain itself after a period of shared investment. We were asked for a provocative idea, but after laying out the evidence that we see, we hope that you are not so much provoked as encouraged. It is possible to have a media system that serves, if not all people, then all children, and to use it as a central tool in building wise, civic-minded citizens. It is possible, not easy. And we hope that this model creates a lifecycle of deep transgenerational support, and a network of people who love public media like the good teacher that it can be, who have the resources to sustain and improve it and the wisdom to do so. There is nothing more important for democracy than a well-educated and highly engaged electorate. This doesn’t happen by accident. Citizens are born, but good citizens are made. We hope that, like Fred Rogers, you see the power in the investment. Download the PDF of "F is for Future." Thanks are owed to our first and favorite readers, A., Asher (who loves Elmo), and Jeff Shaw (who prefers Mr. Snuffleupagus). And to smart, generous and thoughtful friends and colleagues who challenge, encourage and improve our thinking: Chris Amico, Laura Amico, Jennifer Brandel, Gabe Bullard, Noah Chestnut, Jessica Clark, Cole del Charco, David Eads, Bec Feldhaus Adams, Adriana Gallardo, Teresa Gorman, Tom Haydon, Robyn and Neil Kramer, Celeste LeCompte, Yossi Lichterman, Andrew Losowsky, Sarah Lutman, Jennifer B. McDonald, Fiona Morgan, John and Marcia O’Donovan, Nick Quah, Hasit Shah, Melanie Sill, Josh Stearns, Ryan Thornburg, Jessamyn West, and Alice Wilder. Betsy O’Donovan is the executive director of The Daily Tar Heel, the independent, nonprofit news organization that serves the University of North Carolina at Chapel Hill and surrounding communities. In that role, she focuses on revenue models that can sustain excellent, independent journalism, the best ways to train media entrepreneurs, and experimentation to benefit the DTH’s community newsroom and others. 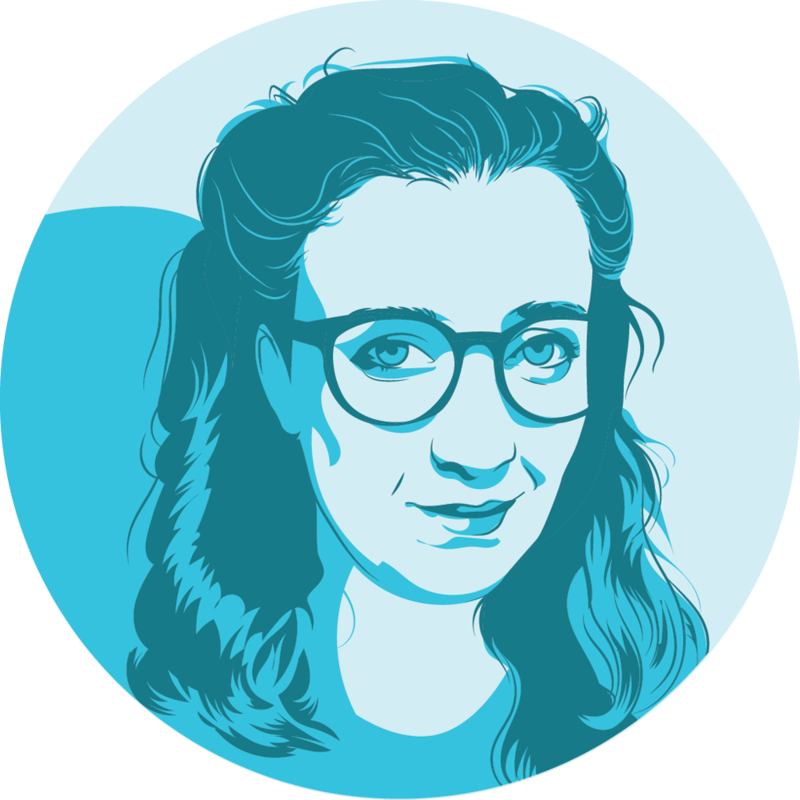 As an editorial adviser and digital strategist in the public media system, O’Donovan focuses on creativity and inclusivity in public and digital media, how stories work (and why), and how to bring professional journalism's standards to citizen media. O’Donovan is an alumna and devoted fan of community newsrooms in Alabama, Idaho, Nebraska and North Carolina, and of ESPN and the Association of Independents in Radio. She has written for The Boston Globe, Publishers Weekly, Nieman Reports and Nieman Storyboard, and national and regional magazines. She was a 2013 fellow at the Nieman Foundation for Journalism at Harvard, and holds an M.Phil with highest distinction from Trinity College Dublin, where she wrote about digital disruption and innovation in book publishing. She has taught feature writing, media literacy and media ethics at Harvard and Northeastern universities; edits “Change Your Life,” a monthly newsletter of grants and fellowships for creative professionals; and is a mentor-editor with The OpEd Project and a member of the N.C. Newsroom Cooperative’s board of directors. She lives in Durham, North Carolina with her family. Public media at 50: What’s next for the information commons? Our proposal rests on 50 years of public media history. We’re about to offer a quick overview that illuminates both the present problem and the obvious solution, but if you prefer to leap right into our proposal, you’ll find it in Part 3 of this paper (page 12). “Listener Supported: The Culture and History of Public Radio.” pg 186-187. 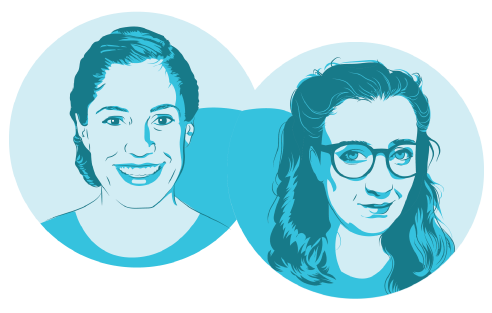 PRX executives Kerri Hoffman and Jake Shapiro once observed in a meeting of independent public media leaders that, in times of scarcity and opportunity, the most significant challenge is to stay on mission and on strategy. We’d argue that Giovannoni’s strategy was effective at his aim of building donor support and a loyal audience, but led the entire industry away from its mission. Morrow, Robert W. (2006). “Sesame Street and the Reform of Children's Television.” Baltimore, Maryland: Johns Hopkins University Press. A Children’s Television Workshop conceived in 2017, alternately, might focus on serving children in areas that are functionally media deserts – the Rust Belt, the rural South and other areas where enduring poverty is not tightly associated with the urban environment. It’s not coincidental that these places also tend to be communities where local media is struggling or has completely receded. Kundanis, Rose M. “Children Teens, Families and Mass Media: The Millennial Generation” Routledge, 2003. As a practical matter, of course, public media also needs a reasonably stable source of funding that doesn’t undermine its mission. Because the airwaves belong to the people, we’d like to contemplate (or for someone else to contemplate) ways that the spectrum auction could be used as seed funding for the public media program that we propose and not to keep paying for more of the same. This will not help every station or smaller markets. We’re particularly concerned for smaller organizations that we respect and love, like Wyoming Public Media and WYSO in Yellow Springs, Ohio, that are doing innovative work but don’t have much capacity to take on revenue challenges, or a population base that is likely to sustain them. In this model, public media funding would require stations to develop and air children’s programming. Stations that want taxpayer support would have a meaningful incentive to focus on this most important audience. In 2013, Betsy wrote about the problems that this presents for Nieman Reports’ spring issue: “For many non-journalists, combining breaking news with a Twitter account is like handing a 15-year-old non-driver the keys to a Maserati. You can expect some high-speed misbehavior.